Thanks to the Evening Standard, you can enjoy a buy one get one free offer on all Starbucks drinks on Thursday 25th and Friday 26th June 2015. This offer is available all day on both days and valid on all drinks - the cheap item will be the freebie! This is a fantastic opportunity to grab a friend, family member or colleague and head out for a coffee. 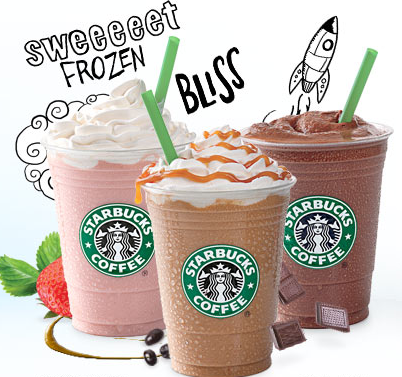 You could even have one of their tasty Frappucinos now the sun is out. Just print off this Starbucks BOGOF voucher and show it to the barista before ordering.